Selita Ebanks was on hand last night(April 12th) for the Swarovki Times Square opening celebration at Hudson Mercantile in New York. 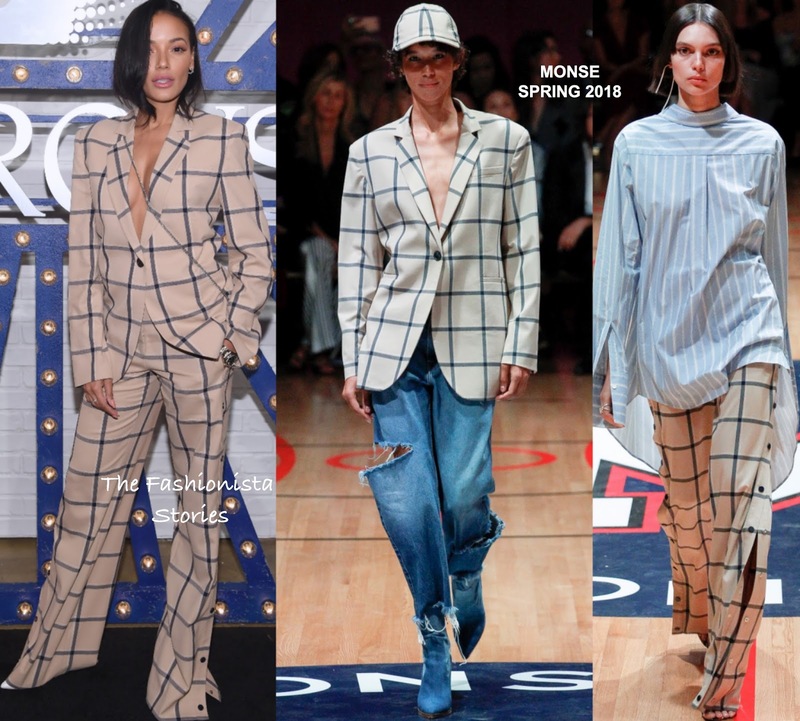 She posed on the carpet wearing a MONSE SPRING 2018 sand & navy grid print blazer with the matching side button trousers. I attended the party last night and see Selita in this suit, I thought she looked great. However the pants were just a little too long. SWAROVSKI jewelry, a side parted lob, pink lips and white pumps finished up her look.